You go into the grocery store and shop for pork and think that their pork represents all pork. No!!!! Just because the big box grocery stores only sell bland, colorless, tough, tasteless, antibiotic and hormone filled pork, it does not mean that there is not something out there that is better. There definitely is better pork. Grocery store pork is from pigs that have been bred over the years to adapt to large confinement production. They have been bred to have large number litters, and grow at a fast rate. Why? Because that is what makes large producers money. large numbers and quick turns equal more profit. Do you know why they push for lean pork? because it takes longer and costs more to produce a meat with some fat in it. Fat is directly proportional to better taste. No fat equals no taste. Any “small farm” raised pork will be better than the grocery store pork. 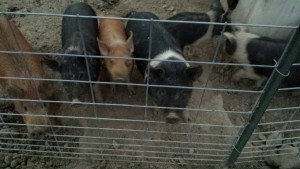 But to find the best pork available, you will have to find Ossabaw Island pork. One of the first and original breeds brought to America. Ossabaw Island pigs have not been genetically engineered to put money in somebody else’s pocket. They are not an economical pig to raise so no large confinement operation will even remotely consider them. 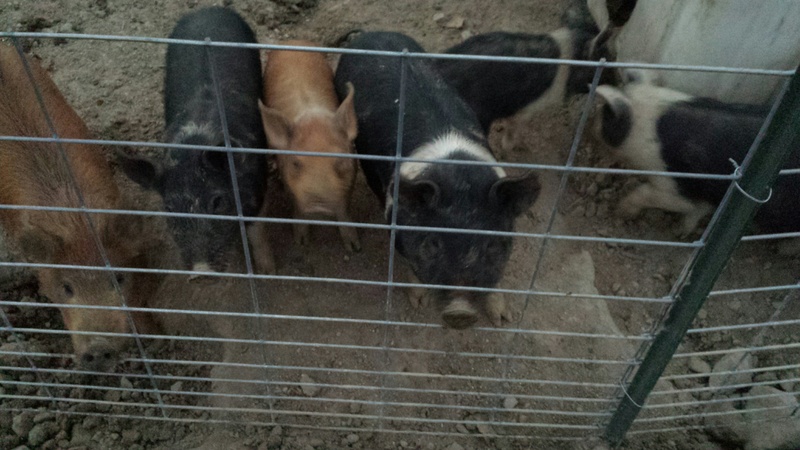 They haven’t been bred to have super large litters, or grow super fast. They are still basically the same pig that they were in the 1400’s. Ossabaw Island pork is red-meaty-pork with a fat marbling. If finished out correctly they have a very sweet, easy to cook meat comparable to a fine beef. 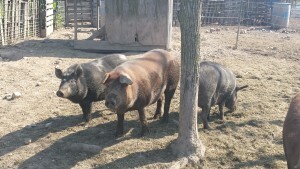 You can have a domestic breed of pig and an Ossabaw Island pig raised the same way, on the same farm, and a taste test will still show a remarkable difference in the meat. I have sold and eaten a lot of Ossabaw Island pork. Everybody that I know that has had the opportunity to try Ossabaw Island pork, has noticed the difference. The Ossabaw Island Pork Difference. A difference that makes you want more, a difference that makes you fight over the meat left on the bone.